on saturday i finally made it out to this "fort greene" to check out the flea market that they got goin on over therrrrr. what a scene, dios mio. there were like 9 bajillion people. but it was actually pretty fun. met up with a posse and perused all the wares. i told myself i would only buy the MOST NECESSARY THING of all time. i mean, it was SO GOLD. 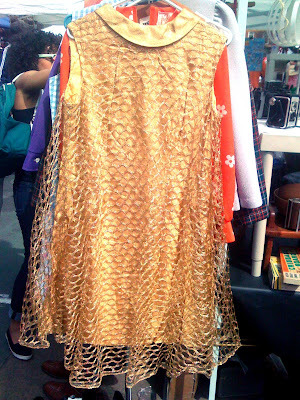 there was an underdress of sparkly gold and then this CAGE-Y OVERLAY of more sparkly gold..all for 20 bones. but then i saw these? and they were so cray-cray? that i couldn't say no? there was much discussion as to WHAT exactly you wear these with. 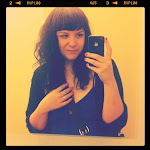 ...in the end i went with the black and white checkz f21 dress that is a surprising new fave. i absolutely love these, it's almost like maybe they had you in mind when they made them? maybe. my word varification is "charp" and it feels awkward. OMG, I HAVE JUST BEEN INSPIRED. 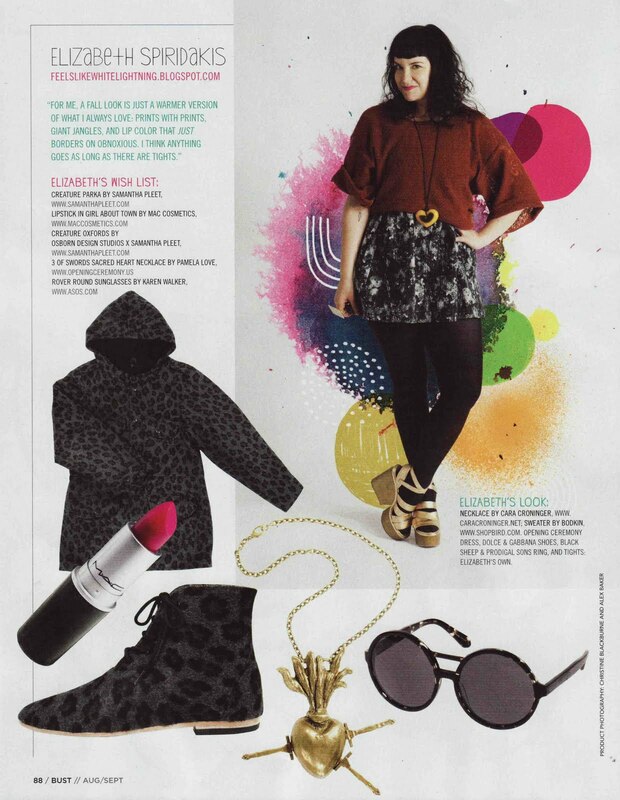 but brighter and with more black. AND THEN WEAR THEM WITH THOSE SHOES. absolutely love them. i've been thinking about getting some white shoes and painting them. or black ones and sticking strips of primary coloured fabric on them with copydex hehe. those are so awesome!! were they vintage or were they part of a new line? so jealz. Only the flea market could create something as confusing and amazing as those shoes. 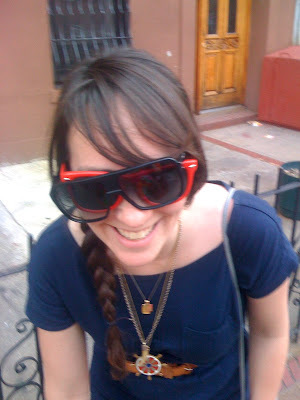 I feel like people used to wear them in "Hangin' with Mr. Cooper". those are ill.(thats a compliment) like as in "gurl them shoes is SICK" oh, yeah. How funny.... I had that same dress in my shop (in Tucson, AZ) back in December. A friend of mine bought it to wear on New Year's eve. A-freakin-dorable. I think you made the right choice...on both accounts. Then again, wearing those with a mom would be epic. ummm best shoes ever and lately i have been wanting an INFINITE supply of shoes like that: oxfords, keds, other granny shoes with laces. Yes yes yes. You made the right choice! 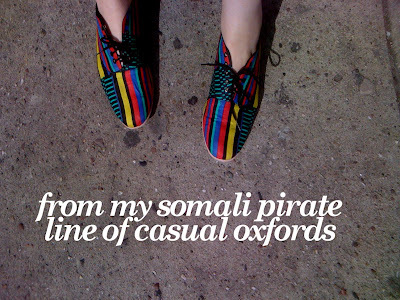 "from my somali pirate line of casual oxfords"
So how much you cop the shoes for? Def a must have for the warm spring/summer days when the toes aren't done up. Those shoes are so cool! I want them, oh me! those shoes are killer lady! !